Colorado Domestic Violence Law - Arrests for Violations of Civil Protection - Restraining Orders - Denver Criminal Attorney Specializing in Domestic Violence Cases - Colorado Criminal Defense Lawyer. 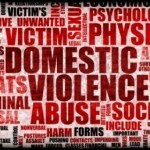 Colorado Domestic Violence Law – Arrests for Violations of Civil Protection – Restraining Orders – The intersection of Colorado domestic violence law and civil restraining orders LINK is both complex and dangerous. What may seem at first as a nuisance – a civil restraining order served on you at a time when you are having difficulties with a significant other – can very quickly result in an arrest for seemingly minor direct or third party contact – lead to mandatory NO BOND incarceration and the start of a criminal case that may end a lifetime of achievements and or future goals. While Colorado civil and criminal laws almost always target different result – this is an area – Colorado domestic violence cases – where they combine in a dangerous way. 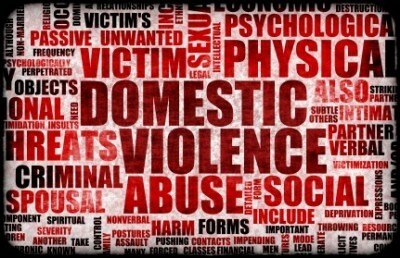 Colorado domestic violence laws can blur the distinction between a civil and criminal offense. Thousands of restraining orders are routinely granted every year all across Colorado. Mostly men – not fully understanding the danger – ignore them – don’t show up to fight them – or concede the entry of the order if they do come to court. Not even addressing the impact such an order will have on your gun rights – a Colorado civil restraining order carries the potential of a permanent criminal conviction after arrest and the mandatory no bail hold that follows. Grounds for the violation of these trip wire restraining orders include inadvertently engaging in the most minor or technical infractions of the no contact provisons of most restraining orders. There is also a double standard when it comes to the decision of whether the arrest of a person suspected of violating a civil restraining order has occurred. While law enforcement is supposed to enforce Colorado’s laws without bias or pre-conception, women in these matters are almost always perceived as the victim. Police officers are ideologically driven to treat women as victims no matter what the facts and circumstances surrounding the allegations. The “You Call, We Haul” Justice system mandates warrantless arrests in the most unserious of situations. Domestic violence cases in Colorado are almost always misdemeanors, yet Colorado and at least 29 other states and the District of Columbia have laws that mandate arrest. The principle of innocent until proven guilty is completely disregarded as these – mostly men – are herded into jails – then forced into FAST TRACK court hearings intended to take advantage of the confusion and fear that only an arrest and incarceration can bring to bear. Victim advocates – biased on behalf of the alleged female victims – ignore all evidence of shared culpability and exercise their considerable influence on women – which influence includes seeking the civil protection order. The greatest distortion of the Colorado criminal justice system has result from the federal influence of the VAWA. The research underlying VAWA ignores the reality that more than half of all partner aggression is mutual. The Act impacts the right of self defense. Thus if a man defends himself and somehow injures the attacking female – then flees the scene – the police – rather than conduct an unbiased investigation – limit the investigation to the interview of the alleged victim – concluding quickly that he was the aggressor. While the law sets out what appear to be fair criteria where there are two possible suspects – the actual enforcement of the law is not consistent with that principle. Colorado state law – in this case – is very specific about the legal responsibilities and law enforcement duties of peace officers, in the investigations of alleged incidents of domestic violence. The Colorado State legislature requires the arrest of the alleged perpetrator. C.R.S. § 18-6-803.6 requires ;aw enforcement – having probable cause to believe a person has committed “an act of domestic violence” to arrest that person. A summons (ticket) CANNOT be used – the person must be arrested “without undue delay” and as noted must remain in custody without bond until seen by a judge. 18-6-803.6 – Duties of peace officers and prosecuting agencies – preservation of evidence. (1) When a peace officer determines that there is probable cause to believe that a crime or offense involving domestic violence, as defined in section 18-6-800.3 (1), …has been committed, the officer shall, without undue delay, arrest the person suspected of its commission pursuant to the provisions in subsection (2) of this section, if applicable, and charge the person with the appropriate crime or offense. Additionally, nothing in this subsection (1) shall be construed to require a peace officer to arrest either party involved in an alleged act of domestic violence when a peace officer determines there is no probable cause to believe that a crime or offense of domestic violence has been committed. The arrested person shall be removed from the scene of the arrest and shall be taken to the peace officer’s station for booking, whereupon the arrested person may be held or released in accordance with the adopted bonding schedules for the jurisdiction in which the arrest is made. (d) The possibility that one of the persons acted in self-defense. (3) (a) A peace officer is authorized to use every reasonable means to protect the alleged victim or the alleged victim’s children to prevent further violence. Such peace officer may transport, or obtain transportation for, the alleged victim to shelter. Upon the request of the protected person, the peace officer may also transport the minor child of the protected person, who is not an emancipated minor, to the same shelter if such shelter is willing to accept the child, whether or not there is a custody order or an order for the care and control of the child or an order allocating parental responsibilities with respect to the child and whether or not the other parent objects. A peace officer who transports a minor child over the objection of the other parent shall not be held liable for any damages that may result from interference with the custody, parental responsibilities, care, and control of or access to a minor child in complying with this subsection (3). (b) For purposes of this subsection (3), “shelter” means a battered women’s shelter, a friend’s or family member’s home, or such other safe haven as may be designated by the protected person and which is within a reasonable distance from the location at which the peace officer found the victim. (IV) Any other relevant physical evidence or witness statements. (b) However, in the absence of bad faith, any failure to collect or preserve any evidence listed in paragraph (a) of this subsection (4) shall not be grounds to dismiss the matter. (4.5) When a peace officer responds to a call or is otherwise responding to a report about an alleged offense involving domestic violence, as defined in section 18-6-800.3 (1), or other domestic dispute, the officer shall include in his or her written or oral report concerning such incident whether children may have seen or heard the alleged offense; except that, in the absence of bad faith, the failure of a peace officer to note that a child may have seen or heard the alleged offense shall not be grounds to dismiss the matter. 6. if an arrest is not applicable at the time, to obtain an arrest warrant for the violator. Do NOT treat Colorado Civil Restraining Orders Lightly – if arrested – you will be prosecuted under the Colorado criminal statute – Violation of A Restraining Order – commonly referred to by those of us in the profession as a VPO. (1) A person commits the crime of violation of a restraining order if such person contacts, harasses, injures, intimidates, molests, threatens, or touches any protected person or enters or remains on premises or comes within a specified distance of a protected person or premises, and such conduct is prohibited by a restraining order, after such person has been personally served with any such order or otherwise has acquired from the court actual knowledge of the contents of any such order. ABOUT THE AUTHOR: : H. Michael Steinberg – (Email The Author hmichaelsteinberg@colorado-domestic-violence-lawyer.com) or call his office at 303-627-7777 during business hours – or call his cell if you cannot wait and need his immediate assistance – 720-227-7777. If you are charged with A Colorado crime or you have questions about Colorado Domestic Violence Law – Arrests for Violations of Civil Protection – Restraining Orders, please call our office. The Law Offices of H. Michael Steinberg, in Denver, Colorado, provide criminal defense clients with effective, efficient, intelligent and strong legal advocacy. We can educate you and help you navigate the stressful and complex legal process related to your criminal defense issue. Colorado Defense Lawyer H. Michael Steinberg provides solid criminal defense for clients throughout the Front Range of Colorado – including the City and County courts of Adams County, Arapahoe County, City and County of Boulder, City and County of Broomfield, City and County of Denver, Douglas County, El Paso County – Colorado Springs, Gilpin County, Jefferson County, Larimer County, and Weld County,…. and all the other cities and counties of Colorado along the I-25 Corridor… on cases involving …Colorado Domestic Violence Law – Arrests for Violations of Civil Protection – Restraining Orders.